It was in October, 2015 that Google announced on their blog that they would be introducing the Accelerated Mobile Pages Project with high hopes of creating open mobile web and faster web experience. AMP was launched by Google finally in February, 2016, thereby allowing publishers to create fast-loading and cached versions of webpages on their site. Google also simplified this entire process by not including any app for any publishing tool. Although Accelerated Mobile Pages is still in its stage of infancy, yet it seems like they’re going to stay here for a long time. Let’s check out more on AMP and AMP optimization technique. Accelerated Mobile Pages – What are they? 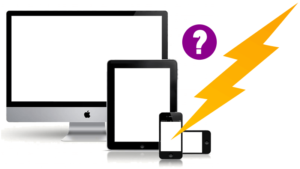 AMPs are lite HTML versions of webpages which have been created in order to offer a streamlined and faster experience for mobile users. It is firstly deemed to be a publishing platform; AMPs often take up the form of published content like articles, news stories and blog posts. When you distribute this content in AMP format, it makes mobile content easily accessible than before. AMPs – How do they work? Now you must be wondering how accelerated mobile pages can affect mobile SERPs. Where can they show up in search engine results and what should they look like? AMPs appear in a carousel format in mobile SERPs and let users to scroll results by swiping to the left. In such results, you will often find news stories, blog posts and articles to be indexed by Google as Accelerated Mobile Pages. Google even started implementing ads in AMP results which are cached and are fast-loading versions of the ads. As AMPs continuously evolve and are inserted into mobile SERPs, there will arise an ever-increasing need to optimize APM pages to boost clicks to your website and increase visibility. Therefore implementing AMPs on your site will not only create a better mobile experience but will also increase the overall SEO value of your site.